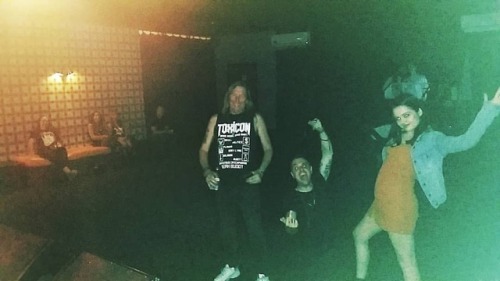 In an effort to capture the true essence and joy that comes from our audiences, we’ll be trying to take a flash-forced dad photo before each show of this tour just cos. Here we can see our Jules happy straight after a quick wee wees. Steve’s looking for coins to throw at us. Jasmine is telling fishing stories. Johnno on sound is playing strip poker. And the nosebleed seats are letting the ibuprofen kick in. Footersgrey massive unite!